Internet is growing really fast and sometimes we don’t even understand what’s real and what’s fake over the web. The best example is an email ID. It’s pretty difficult to identify a fake Email ID. It may so happen that you need to send an important email and the email ID doesn’t exist or it’s a wrong one. But, there are ways through which you can easily identify a fake email ID. Firstly, you can send a test email to the id. If you receive a failure mail delivery report then the ID isn’t available. Well, there’s an alternative to this method too. 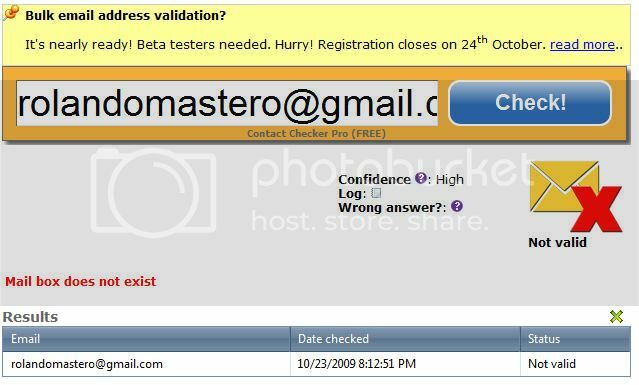 There’s a web service known as Email Address Checker which checks the authenticity of an email address. All you need to do is simply enter the Email ID in the box and press on the ‘Check’ button. Within few seconds you’ll whether the ID is fake or real. You can also try another service known as IsValidEmail. There’s a small box where you need to enter the email ID and then click on ‘Invoke’. On the next page if you get ‘true’ then the email ID is valid but if you get ‘false’ then it’s fake. Unable to Attach Files in Email, How to Send?